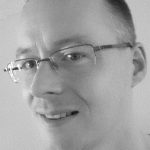 Nikolaj works as solution architect and has been developing for more than 30 years. He is together with Vivian the initiators of this project. Nikolaj works as a freelance solution architect, senior developer and technical project manager. Nikolaj is the director of Olio ApS that handles the administration of the Oligo Academy project organisation.